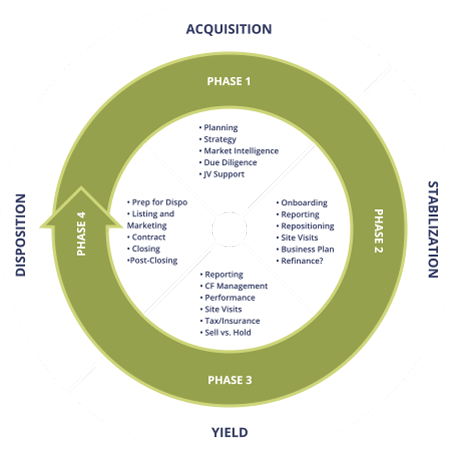 With the Principles of LYND having ownership interest in a substantial portfolio in addition to the units managed for third party clients, LYND recognizes the need for an in-house Asset Management function. LYND’s Asset Management Group ensures each property receives high-level oversight from an economic-investment standpoint. LYND ASSET MANAGER INTERACTS DAILY WITH THE PROPERTY MANAGEMENT STAFF TO ENSURE BUDGETS ARE IN-LINE, EXPENSES ARE KEPT IN-CHECK, AND THE ECONOMIC RETURNS EXPECTED OF THE ASSET ARE ACHIEVED.